Home / CRUISING THE PAST / President Barak Obama’s election is partly due to the thousands of Pullman Porters who organized a union 84 years ago under the leadership of A. Philip Randolph. President Barak Obama’s election is partly due to the thousands of Pullman Porters who organized a union 84 years ago under the leadership of A. Philip Randolph. President Barak Obama’s election as the first African-American in the White House happened because of the struggle for unionization by A. Philip Randolph and the members of the Brotherhood of Sleeping Car Porters. Randolph and the porters worked together to fight many battles and they won many victories for African-American people. They demonstrated and personified the meaning of the word brotherhood. These African-American men were American heroes. 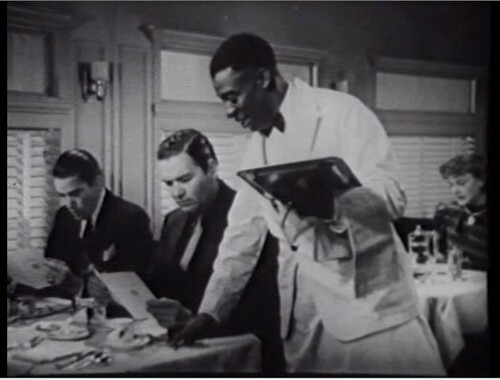 Great YOUTUBE Video: Rising from the Rails: The Story of the Pullman Porter…Based on the best-selling book by Larry Tye, this high-definition documentary chronicles the relatively unheralded Pullman Porters, generations of African American men who served as caretakers to wealthy white passengers on luxury trains that traversed the nation in the golden age of rail travel. The Pullman Company, founded by George M. Pullman, built, operated, and maintained a fleet of first class passenger rail cars by contract on most railroads across the United States. George Pullman is credited with the creation of the first modern, comfortable, sleeping car for railroad travel in 1858. The Pullman Company was renowned world-wide for the excellent quality of service passengers received from the Company’s African-American porters. 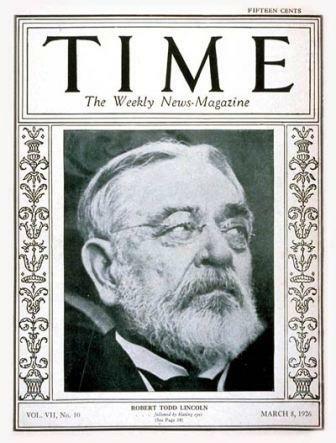 Robert Todd Lincoln, Abraham Lincoln’s son, was president and chairman of the Pullman Company from 1897 to 1922. Whereas Abraham Lincoln freed the slaves, Robert Todd Lincoln lent his influential name to the notorious exploitation of African Americans as Pullman slaves. Robert’s management style was as hardheaded as George Pullman himself and anti-union. Indeed, the Pullman Company was said to have operated the largest hotel in the world, with upwards of 100,000 beds occupied on a given night. The Pullman Company itself ceased operating sleeping cars on December 31, 1968. At one time the Pullman Company was the largest employer of African-Americans in the USA. 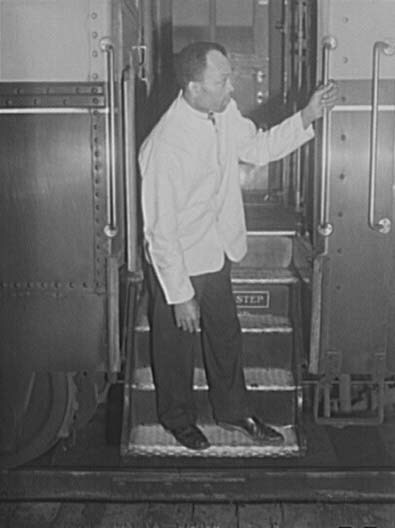 During the heyday of railroad travel, the Pullman Porters were the workers aboard the trains. They provided service to and attended to the needs of the passengers. In the beginning, the Pullman Company hired only African-American men for the job of porter. 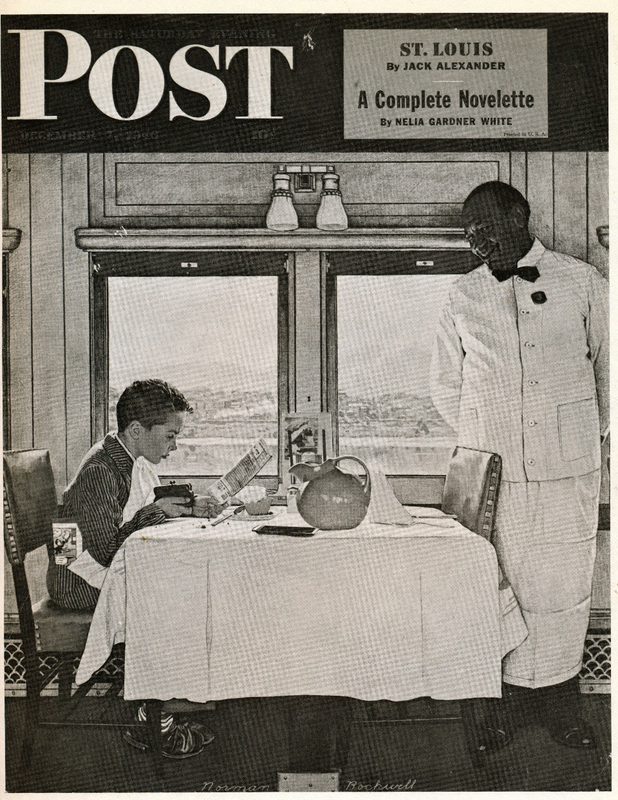 The Pullman Porters and the excellent service they provided were integral and indispensable to the rise and success of the passenger railroad industry. 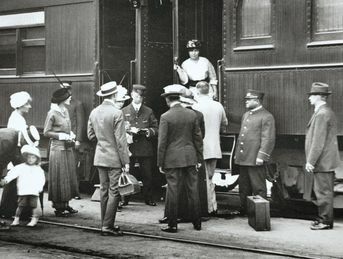 During the century spanning the years 1868-1968, the African-American railroad attendant’s presence on the train became a tradition within the American scene. 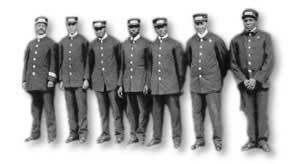 By the 1920s, a peak decade for the railroads, 20,224 African-Americans were working as Pullman Porters and train personnel. At that time, this was the largest category of black labor in the United States and Canada. The Pullman Porters organized and founded the Brotherhood of Sleeping Car Porters in 1925. The BSCP was the very first African-American labor union to sign a collective bargaining agreement with a major U.S. corporation. A. Philip Randolph was the determined, dedicated, and articulate president of this union who fought to improve the working conditions and pay for the Pullman Porters. The porters had tried to organize since the begining of the century. The wages and working conditions were below average for decades. For example, the porters were required to work 400 hours per month or 11,000 miles—whichever occurred first to receive full pay. Porters depended on the passengers’ tips in order to earn a decent level of pay. Typically, the porters’ tips were more than their monthly salary earned from the Pullman Company. After many years of suffering these types of conditions, the porters united with A. Philip Randolph as their leader. Finally, having endured threats from the Pullman Company such as job loss and harassment, the BSCP forced the company to the bargaining table. On August 25, 1937, after 12 years of battle, the BSCP was recognized as the official union of the Pullman Porters. 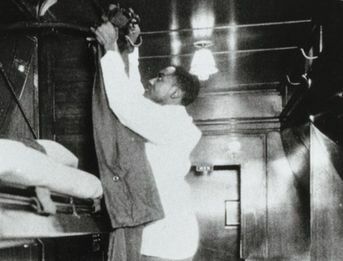 Protected by the union, the job of a Pullman Porter was one of economic stability and held high social prestige in the African-American community. A. Philip Randolph utilized the power of the labor union and the unity that it represented to demand significant social changes for African-Americans nationally. The Pullman Porter museum in Chicago has exhibits telling the story of the power of unity, leadership, action, organization, and determination. This story is one of ordinary men who did extraordinary things. A. Philip Randolph and the members of the BSCP understood the power of collective work and community involvement. They improved the quality of life for themselves and made sure that their efforts improved the lives of those who were to follow. They worked together to fight many battles and they won many victories for African-American people. They demonstrated and personified the meaning of the word brotherhood. These African-American men were American heroes. A. Philip Randolph first planned a March on Washington in 1941 to protest against governmental hiring practices that excluded African-Americans from federal employment and federal contracts. 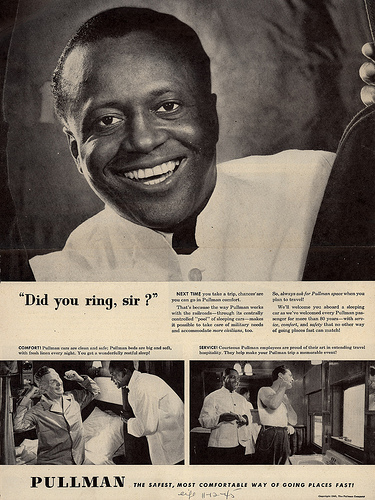 Randolph understood that this type of racial discrimination was the reason for the economic disparities between whites and blacks in this country. Randolph proposed that African-Americans march on Washington to demand jobs and freedom. Because of this, President Roosevelt signed Executive Order 8802, which banned discrimination in the federal government and defense industries in June 1941. As a result of the groundwork laid 22 years earlier for the 1941 March on Washington, A. Philip Randolph was prepared for the leadership role he held in the 1963 March on Washington. With Bayard Rustin as the main organizer of the march, Randolph was able to unite the many groups and leaders that comprised this national call for masses of people to take action. On August 28, 1963, 250,000 people attended this monumental march which set a precedent demonstrating the power of unity and action. After the march, the Civil Rights Act of 1964 was signed. Randolph’s leadership influenced many leaders including Dr. King, and Malcolm X. So it’s significant that the cover of Life Magazine after the march didn’t feature Martin Luther King, Jr. It featured A. Philip Randolph and his protégé Bayard Rustin. While King provided the words, it was Randolph who made the words become flesh. The words, profound expressions of a desire to be free, were magnified by the masses standing before our nation’s monuments demanding to be free. While Randolph led the movement that brought us to that day, it was Rustin who developed the strategy that was the bridge to this day. It was in his essay “From Protest to Politics” that Rustin showed us the future. He said it was time to take the power of our ideals, the strength of our convictions and believe so strongly in the power of democracy that the tactic of protesting for effective change was only a way station to becoming the change. It was Rustin who planted the seed that would sprout and grow and turn into thousands of successful leaders, from city councils to statehouses and now to the White House itself. 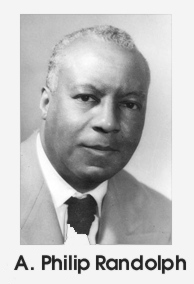 Visit the A. Philip Randolph Pullman Porter Museum by clicking here. Also visit our own “Pullman” page by clicking just below the banner at the top. 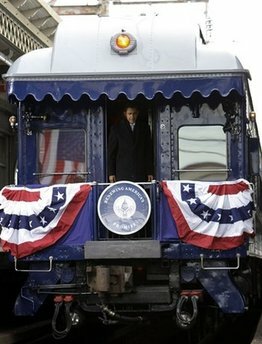 Previous: PRSIDENT ELECT BARACK OBAMA ARRIVES ABOARD PRIVATE PULLMAN RAILWAY CAR “GEORGIA 300” IN WASHINGTON DC ABOARD SPECIAL AMTRAK TRAIN. Next: SS UNITED STATES: FIRST LADY OF THE SEA! Celebrating the inauguration of President Obama with a great video about a ship symbolyzing the USA.